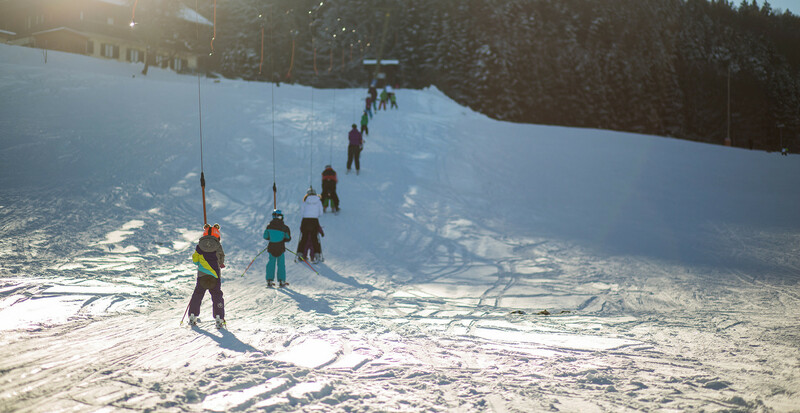 Head right into skiing fun – right from the hotel! Two ski lifts will make skiers' hearts skip a beat: the Nockstein lifts are located right outside the Riedlwirt's front door. 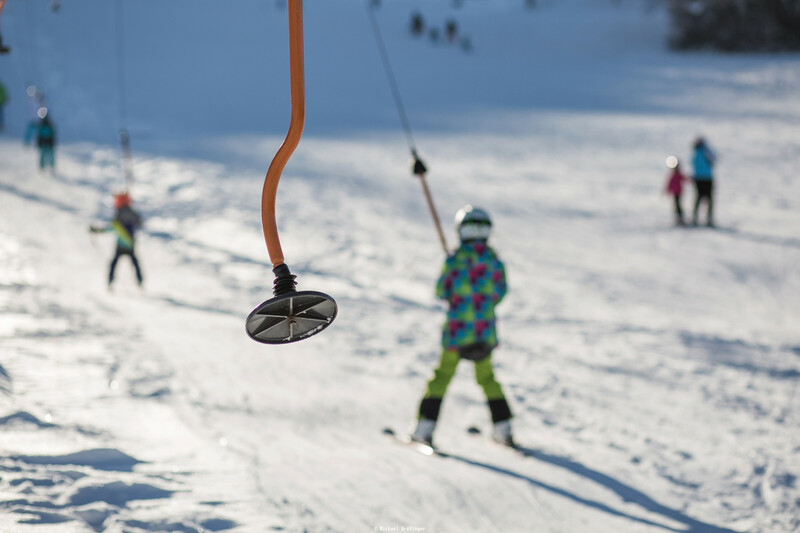 Our hotel with its own ski lift offers great fun in the snow for an unbeatable price. Let other holidaymakers brave the busy, crowded ski resorts in Salzburg. 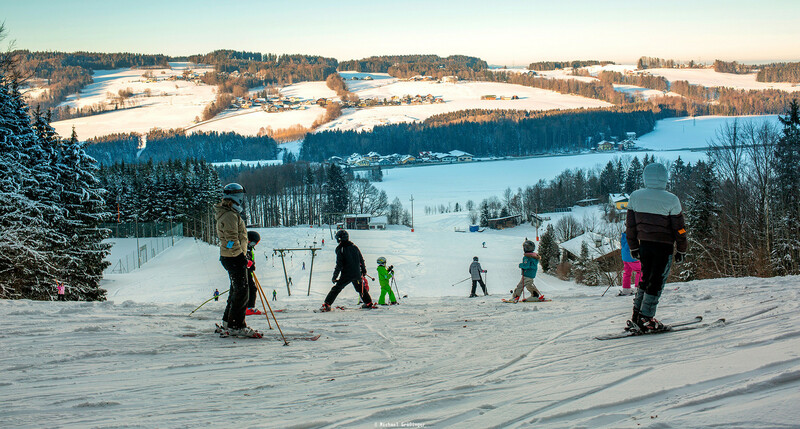 Enjoy skiing and snowboarding at our small yet wonderful ski resort in Koppl just outside the city of Salzburg. 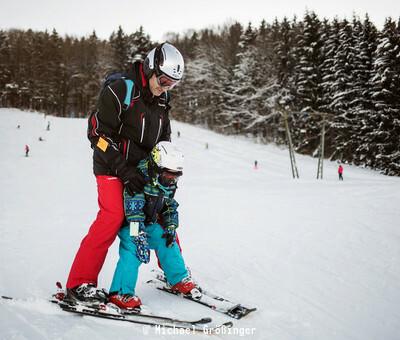 Kids will especially love the Nockstein lifts which are also ideal for beginners. 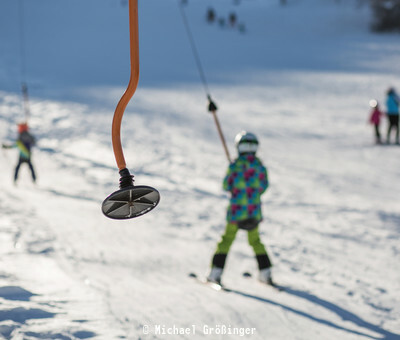 Both during the day and in the evening: you can ski and snowboard as much as you like with the Nockstein lifts. 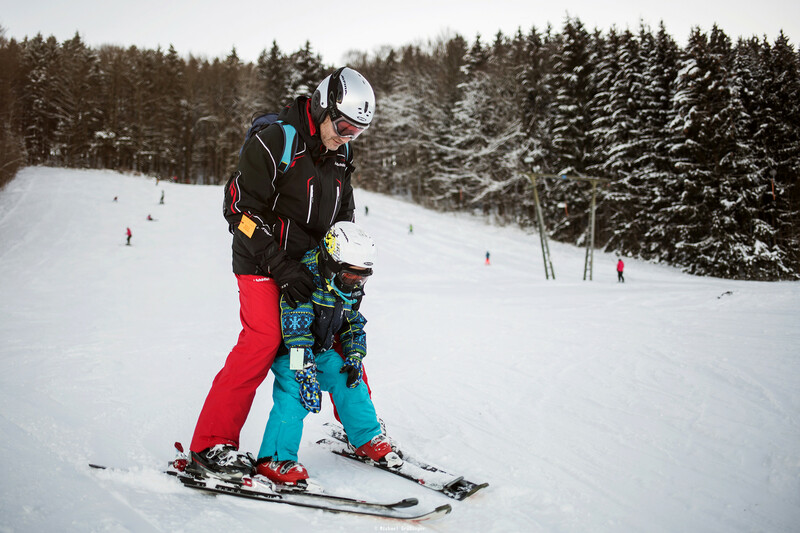 We offer a range of lift tickets, which means that you can enjoy flexibility whilst skiing in Salzburg. From 10-pack tickets to day tickets: we have something for everyone. Are the lifts not yet open but you would still like to hit the slopes? 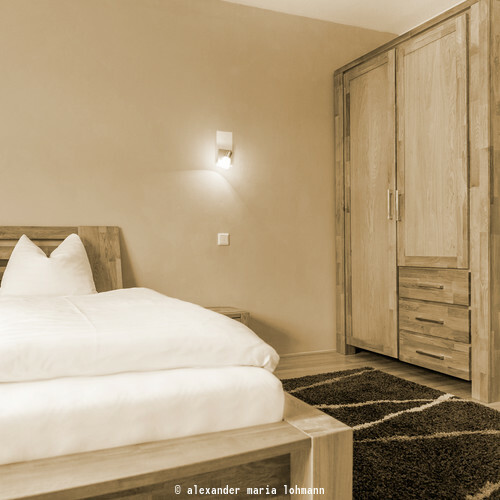 Simply ask us at the Gasthof Hotel Riedlwirt. You will find parking in front of our hotel with ski lift. And be sure to stop by the Riedlwirt for a bite to eat when you need a break!